I am not generally a fan of historical fiction but I truly enjoyed this dark account of life in turn of the century Paris. The Paris Winter really opened my eyes as to what life was really like not all that long ago. Life was definitely much more difficult in many ways. Women were pretty much second class citizens and it really struck me how much women had to struggle to survive through any means necessary. There were a lot of historical details , such as the 1910 flood, included in the account of these characters was pretty captivating and I felt like I learnt a lot about the city of lights and its history. This book was pretty fast-paced with a dark mysterious edge that kept me guessing as to what might happen next. I could just feel the dirty intensity of life in the city during this time period. The city was coming alive with lots of opportunity, hope and joie de vivre which the author was able to capture exquisitely through the lives of Maud and the others. 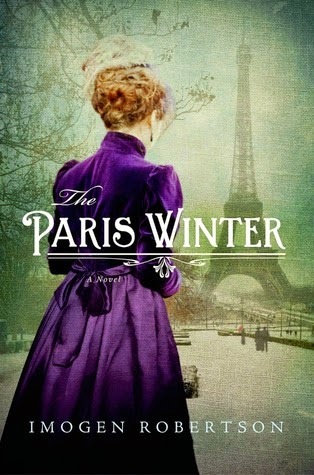 A lush account of the lives of artists and scoundrels, The Paris Winter was a great read which had me thinking about it long after I was done which is a first for me as far as historical fiction is concerned.